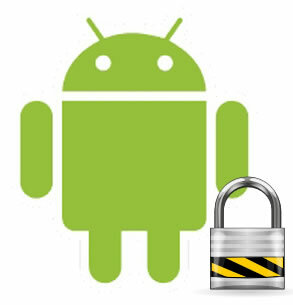 Google revealed a security tool today codenamed Bouncer to address the malware concerns of Android market. the service performs set of analysis on new application, applications already in Android market and developer accounts. Google says the tool is already in use, in the past year there is a 40% of decrease in number of potentially malicious applications compared to the second half from first of the year. Surprisingly the decrease in number of malicious applications came at the same time the security companies which sell the security software anti-malware software are reporting that malware is on the rise in Android market. Bouncer does automated scanning of applications for potential malicious software without requiring developers to go through an application approval process. Once an application is submitted to the market, the tool scans for, malware, spyware and trojans. It also compares the behavior of the application with the previously analyzed apps to detect possible red flags. According to Google Android was designed from the beginning to make malware less disruptive unlike PCs where the potential of misuse of your information by malware is high. Some of Androidâ€™s core security features. Sandboxing: The Android platform uses a technique called â€œsandboxingâ€ to put virtual walls between applications and other software on the device. So, if you download a malicious application, it can’t access data on other parts of your phone and its potential harm is drastically limited. Permissions: Android provides a permission system to help you understand the capabilities of the apps you install, and manage your own preferences. That way, if you see a game unnecessarily requests permission to send SMS, for example, you donâ€™t need to install it. Itâ€™ a good thing to know that Google is not sitting ideal and in fact they are trying to keep Android safe. Google addresses that no security is fool proof and they are working to make things better day by day.